Cervano is the perfect place to spend some time with family, friends, customers or, colleagues, you can have your privacy in your apartment or enjoy the garden and the big dining room in the Milanda building together. You can match some days of holiday with b-day, anniversaries, corporate events, team building, sport, fun, relaxation…we are perfect for groups of up to 40 people. We can offer you 12 kitchens if you like to prepare some specialities by yourself, we can also suggest some retailers shops to buy cheese, salame, wine and other very local produce that you cant find anywhere else. The kids have space to run without danger and the parents can stay in the garden and have a bbq or relax close to the fireplace with a glass of wine. 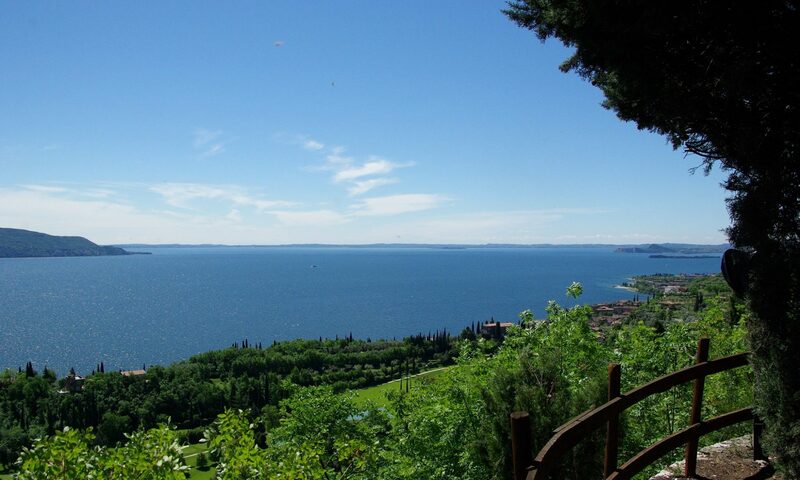 We can help you to organise boat tours, mtb, historical tours, Opera at the Arena, moto, car tours, adventure park, wine tasting and a lot of activities, lake Garda is a place full of surprise. Send us an email to info@cervano.com or contact us, we can find the best option for your group! Contact the local comune (town hall) before making any plans to find out about local marriage laws, including what documents you’ll need. You’ll need to get a certificate of no impediment (CNI) from the authorities in the UK to prove you’re allowed to marry. Your partner will need to follow the same process to get their ownCNI. You can normally get a CNI by giving a notice of marriage at your local register office or registrar in the UK. Find your local office or registrar in England and Wales, Scotland or Northern Ireland. A CNI issued in England, Wales or Northern Ireland is valid for 6 months. A CNI issued in Scotland is valid for 3 months. They’ll post your notice, and as long as nobody has registered an objection after a specified number of days (normally 15 or 21), they’ll issue your CNI. While you’re waiting for your CNI, you and your partner will need to make a statutory declaration before a solicitor or public notary. The Italian authorities will need this in addition to your CNI. There’s a standard template in English and Italian that you can download and use. You’ll need to get your statutory declaration and CNI ‘legalised’ (certified as genuine) by the Foreign & Commonwealth Office (FCO). You’ll also need to get your CNI translated and sworn before the Italian courts or an Italian Justice of the Peace. The names on all documents you provide must appear exactly as they do on your passports – if not, the authorities may refuse to allow the marriage to go ahead. You may need to provide evidence if the name on your passport is different to your birth certificate (eg marriage certificate or deed poll). You can pay by cash or credit card, but not by personal cheque. 2. Certified copies of bride and groom’s birth certificates in “long form” (which includes the names of both parents), translated into Italian and legalized with the “APOSTILLE” seal issued by the Office of the Secretary of State of the State where the birth took place. Please note that an “APOSTILLE” is not the same thing as a “raised seal” but is a very special type of seal that must be specifically requested. 4. If applicable sworn statement of consent to the marriage by the parents or legal guardian, if the U.S. citizen is under 18 years of age. 5. An affidavit (Atto Notorio), sworn to by two witnesses, who must be over 18 and unrelated to either the bride or the groom, stating that according to the laws to which the citizen is subject to in the United States, he/she is not prohibited from marrying and he/she is not in any of the conditions that according to the Italian Civil Code forbid marriage. 6. This affidavit can be sworn in the U.S. before the Italian Consulate that has jurisdiction over the State where he/she live or in Italy before a Notary or the “Pretura” (Magistrate Court) in the city where the marriage will take place. 7. A declaration, sworn to by the U.S. citizen before an American Consular Officer in Italy,) stating that according to the laws to which the citizen is subject to in the United States there is no obstacle to his/her marriage in Italy. Please call the U.S. Consulate nearest to the city in Italy were you intend to get married at the phone numbers provided below to schedule an appointment. Please note that all the documents above stated need to be translated into Italian and the translation certified by the Italian Consulate. In order to have an “Atto Notorio” issued by this Consulate applicants must schedule an appointment giving at least two weeks notice. To request an Atto Notorio please fill out the Information sheet you will find at the end of this page and send back to this Office along with a photocopy of an I.D. of bride, groom and the two witnesses and a money order for amount of the fee due. After sending the information sheet please call to arrange an appointment with the Consular Officer in charge of the service. Once the Declaration is made is usually necessary for banns to be posted at the local Comune (City Hall) for two consecutive Sundays before the marriage may take place. However, the Ufficiale di Stato Civile usually waives banns if neither party to the marriage is an Italian citizen and if neither is residing in Italy. On the fourth day following the second Sunday on which the banns are posted or any time after the banns have been waived (usually three business days after the declaration to marry before the Civil Register are required), the couple may be married, either in a civil ceremony or a religious one. A civil ceremony is performed by the Ufficiale di Stato Civile or one of his assistants. If a religious ceremony is performed by a Roman Catholic priest, a separate civil ceremony is not required, but the priest must register the marriage with the Ufficiale di Stato Civile in order for it to be legal. Under Article 13 of the Canon Law, a priest who performs a marriage is required to register the marriage with the Ufficio di Stato Civile within five days of the marriage. The Catholic Church, incidentally, requires documentation in addition to the documents listed above, such as baptismal and confirmation certificates (For full information consult your parish priest). Because of the special Italian requirements applicable to marriages performed by non Roman Catholic clergymen, the latter usually insist on a civil ceremony prior to performing the religious one so as to ensure the legality of the marriage. A couple wishing to be married in a religious ceremony in Italy, and which has already been married in a civil ceremony in the U.S., must communicate the latter to the priest. The priest will not send the marriage record to the office of Stato Civile in the Italian city, since the ceremony was religious only and the civil marriage took place in the U.S. Persons planning a religious ceremony should consult with the priest, minister or rabbi as far in advance of the ceremony as possible. If the wife is an American citizen and wishes to have her PASSPORT AMENDED to read in her married name, she should go to the American Embassy or the nearest American Consulate with the civil certificate of marriage issued by the Comune and her passport. If a CIVIL CERTIFICATE is required immediately after the ceremony, it must be requested in advance at the time of making an appointment for the ceremony (a fee per copy is charged) otherwise it may take weeks. The certificate should be requested at the Anagrafe, “Archivio dello Stato Civile,”. PLEASE NOTE: Fees And times are subject to change, please check in advance. This Consulate General will accept requests to process the appropriate documentation for U.S. citizens wishing to be married in Italy ONLY for residents of this consular jurisdiction (Evidence of residency must be submitted). Australian citizens are also required an “Atto Notorio”, a statutory declaration that must be signed by each of the two parties, along with 4 able witnesses, stating that there is no impediment to the marriage according to Australian laws. All witnesses must at least 18 years old, carry a valid photo ID and not be family-related to the future bride or groom. If you are unable to obtain an “Atto di notorietà per uso matrimonio” (also known as Atto Notorio) from an Italian Consulate in Australia, you may obtain one from the Tribunale Civile in Italy. Find below the contact details of the Tribunale Civile in Rome, though Atti Notori may be obtained from any Tribunale Civile in Italy. The “Atto Notorio” must be presented to either the Australian Embassy in Rome or the Australian Consulate in Milan in order to obtain the “NULLA OSTA” (NO IMPEDIMENT CERTIFICATE) required by Italian Law (art.116, Civil Code). The fee for an “Atto Notorio” is €18.60, payable in AUD (cash only). •if either party is divorced, supply name and surname, place and date of birth of previous spouse, date of divorce and name of the Court that issued the divorce decree. •details of witnesses IDs (passport or driving license only): number, date and place of issue, expiry date. The same ID must be carried to the appointment. All four (4) witnesses need to show up at the appointmen. The bride and the groom may use the same witnesses if both require an “atto notorio”. •if applicable, divorce sentence, apostilled (from the DFAT in Lonsdale Street) and officially translated into Italian (returned at the end of the appointment to be later delivered at the Municipality). Art.89 of the Civil Code states that for a woman who has been divorced or widowed for less than 300 days to remarry, a specific authorization from an Italian Court is in order. This authorization will be issued upon presentation of a medical report that certifies that the future bride is not pregnant. If either or both spouses are divorced, the Registrar of the chosen municipality will also require the original Divorce Decree, apostilled (from the DFAT in Lonsdale Street) and officially translated into Italian. The wedding ceremony must be attended by: the bride, the groom, two witnesses (plus one interpreter if the couple does not speak Italian). Those seeking a religious ceremony are advised to contact their local parish and get in touch with sister parishes in Italy, which will then advise on the necessary documents to fulfill the requirements of the Church.